Chilean musician Francisco Matus is reputed to be the only person to have mastered playing the guitar and pan pipes at the same time, and connects past, present and future through his music. At times, Chilean musician Francisco Matus seems to be whispering through his pan pipes. In other moments he draws attention with their imposing, full-bodied sound. Then he plays a deep-toned flute, blowing straight into the end, having mastered the U-shaped nick that helps to produce its rich sound. This flute, of a particular bamboo, was made for him by luthier Juan Acha in La Paz, Bolivia. Flutes are the earliest known made instruments, dating back certainly more than 30,000 years. But then Francisco picks up another instrument made by Juan — an extraordinary charango, which is perhaps the best known of the South American instruments. The theatre comes alive with its sound. When we talk about the instrument later, Francisco’s face tightens into an appreciative smile; his eyes twinkle. “Oh yes — it is the best charango I have ever owned,” he says, keen to pay tribute to Juan Acha. The charango is a 10-stringed instrument of the Andes. Its back is shaped like a lute, hand carved from a single piece of wood, and the earliest instruments were made using a dried armadillo shell for the body. The charango’s invention is dated in the 18th century but its roots are the vihuela, a mandolin-style instrument brought by Spanish conquistadores. “There are six or seven sizes,” says Francisco, from the biggest ronroco to the smallest chillador. 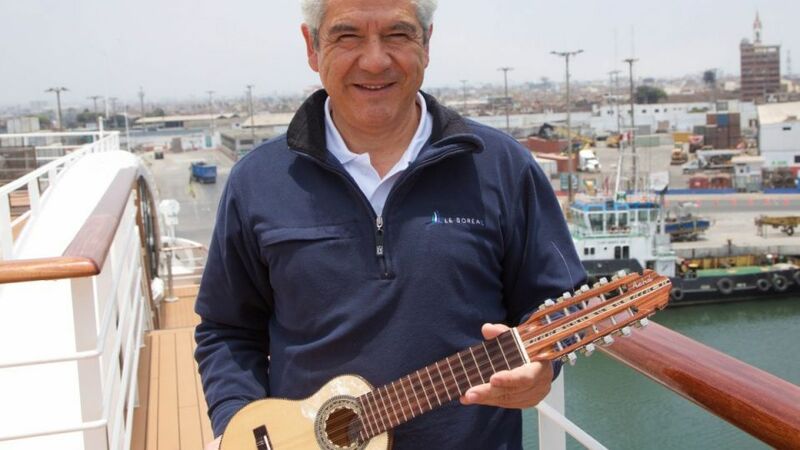 Francisco regularly sails the west coast of South America on Ponant voyages, lecturing on the regions’ history, anthropology and culture, and performing with these musical instruments. He traces his instrument back to his father, who played guitar. “I started playing timidly as a teenager,” he says. Then, at university, where he studied anthropology, he started playing in groups. Francisco is reputed to be the only person to have mastered playing the guitar and pan pipes at the same time. He adapts the pan pipes to fit in a stand in front of him, blowing sometimes with the more forceful “body” technique, and sometimes with just the wispy breath of the “whisper” style. There are deeper echoes in the music, too. The coup, shamefully backed by the US Nixon administration, brought to an end Salvador Allende’s socialist presidency and installed Augusto Pinochet in a military dictatorship that lasted until 1990. The National Commission for Truth and Reconciliation Report produced in 1991 concluded that, under his junta, more than 3000 people were killed for political reasons and nearly 40,000 were tortured. 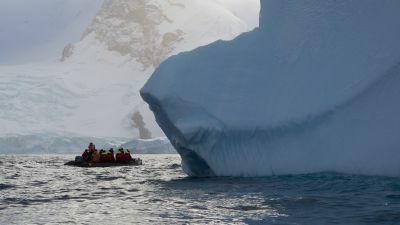 Other estimates put the figure of those interned as high as 80,000 people. Francisco connects past, present and future through his music. He has twice been funded by Fondart, which funds Chilean arts and culture — first to teach children how to make pan pipes, and then to buy more instruments and stage an educational exhibition, which would be visited by 5000 people. He played music and guided them through. He makes his own pan pipes, buying bamboo from Bolivia, which has around 400 endemic instruments. Most are wind, and only about 20 stringed. He has 6000 bamboo “tubes” for pan pipes, classified by diameter and length, and has also pioneered a system of fragile rings to change them from diatonic to chromatic. He hopes one day to be able to take his collection of instruments to France for display. During our 10 days together, Francisco generously and knowledgeably reveals the layers of the Latin American story. As he may do on the increasing number of Ponant voyages in Latin America, he takes me through civilisations, from Moches to Incas. He animates the history of Panama, Ecuador, Peru and Chile. He becomes my exceptional guide, in the truest sense of the world, and a friend. 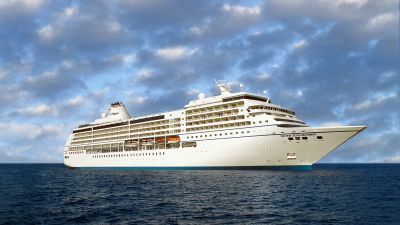 Stephen Scourfield was a guest of Ponant.